Welcome to our Heavenly Father's table to feast with us in prayer, worship and fellowship, as Jesus delights in us and pours out His oil of anointing upon us right here in our daily trials of chronic and/or mental illness. For, we are loved. We are seen. We are known. And we are forever in His Presence and at Home in HIM. @user-175740466: I'm so happy to pray and encourage and love you! 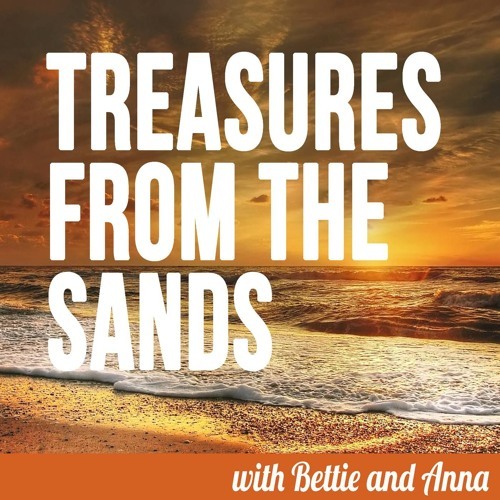 This debut podcast is so good, Bettie and Anna! You both share from your own vulnerability yet also from a place of hope in what Jesus has done and is doing. I look forward to many more to come. And Anna, the song and your voice were beautiful. I'm so thrilled that you both are following in obedience to God in sharing your own experiences in this podcast. Love you both! @homespundevotions Tears reading your words , Cheryl. Thank You, Jesus, for the fellowship we have in You that knows no distance, unifying us across oceans. Thank you so much for your encouragement. What a blessing you are to me here and I know Bettie too. Oh, my word! I am sitting here in tears! Dear Bettie and Anna! THANK YOU ever so much for this beautiful, precious time of fellowship. I needed it so desperately, and I felt like we were all in the same place, even though we are miles and miles apart. Thank you for being real and transparent and so willing to share your struggles. I could relate on so many levels, as I am sure every other person who hears this can, also. We all share the same human condition, regardless of our personal, unique situations. Anna, I sang along with your beautiful voice. Oh, it touched my soul to hear that dear, old song, and your voice is just amazing. Thank you for singing! May the Lord richly bless both of you dear, precious ladies! You are my sisters in Christ, and I am so very thankful for you both! @lrbrittain1230 Isn't it such a precious song?! Thank you for your compliment. I so love to sing. God's courage in me there 😅. @lrbrittain1230 Thank you, Lisa. Your year of praying, encouraging and loving us through this has been SO vital. God's been so good to us through your obedience to Him too. Thank you for spurring us on in Him. @sealedwithmyhug Thanks so much for all your love, prayers and encouragement, Bobbi. Love ya! @bettie-g-950559174 So thankful for His weaving together of our hearts in Him, Bettie. I am so blessed to share in this place the comfort that Jesus brings us!